Wadsworth Mansion Blog: Join us for Daffodil Day - Sunday, April 22nd! Join us for Daffodil Day - Sunday, April 22nd! 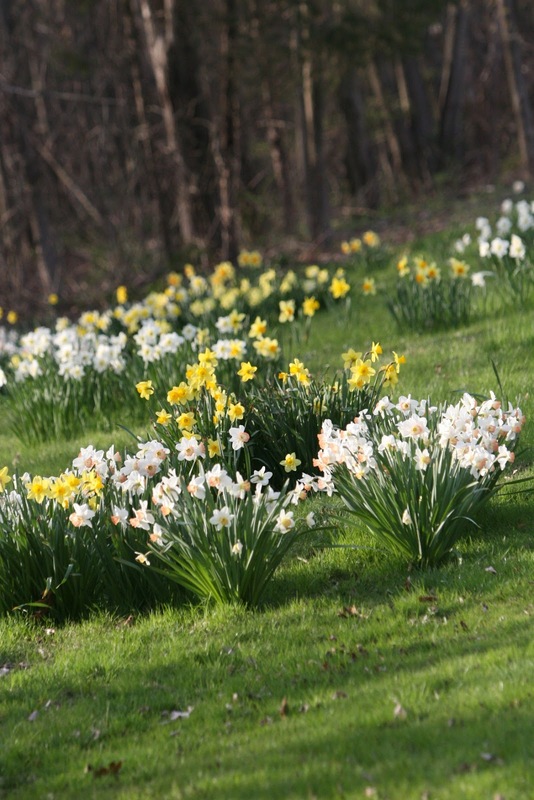 The Friends of Long Hill Estate and the Long Hill Estate Authority will host their annual Daffodil Day on Sunday, April 22, 2012, from 1:00 p.m. until 4:00 p.m. at the Wadsworth Mansion at Long Hill Estate, 421 Wadsworth Street, Middletown. This family event will be held rain or shine and there is no charge for admission. A plethora of daffodils will still be in bloom to greet visitors as they follow the entrance drive leading to the Beaux Art style mansion for this annual celebration of spring. Guests are encouraged to enjoy the meadows planted by volunteers over the last decade. Throughout the afternoon there will be numerous activities for visitors wishing to celebrate spring. Join Lucy Meigs of Everyone Outside between 2:00-4:00 p.m. at the pool to the east of the Mansion. Come see all the amazing creatures (tadpoles, salamander & insect larvae) that live in a vernal pool in the spring (viewing scopes provided). Learn what letterboxing is all about (think scavenger hunt) and try your hand at finding some with beautifully hand carved stamps. Sponsored by Everyone Outside and the Rockfall Foundation. Between 1:30 and 3:00, thanks to ArtFarm, guests will enjoy roving musician Michael Pestel who will be playing the flute, penny whistle, and bird whistles, dressed in medieval garb. He will be accompanied by talented juggler Xaq Zukas.